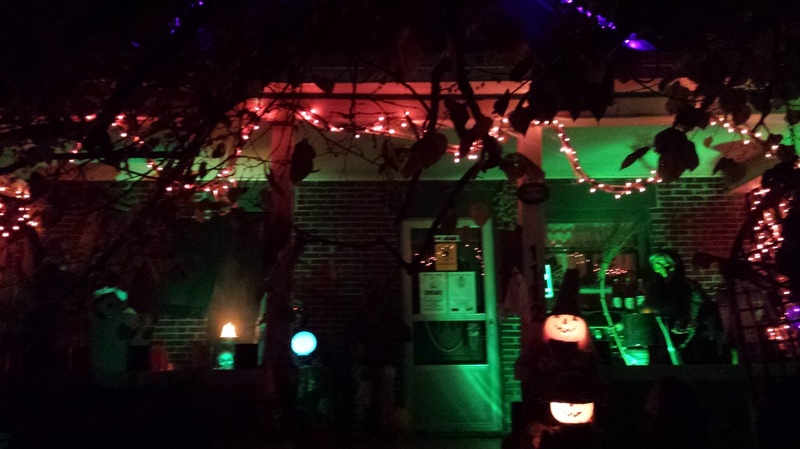 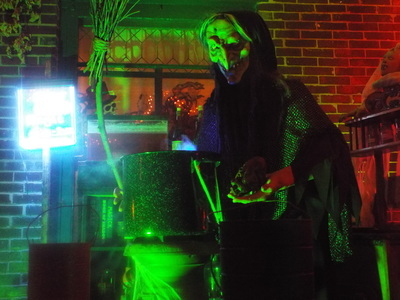 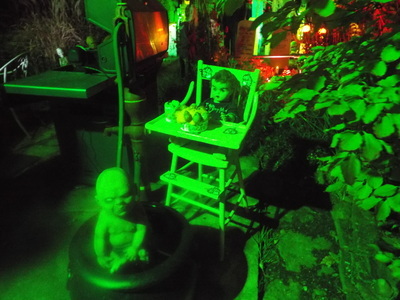 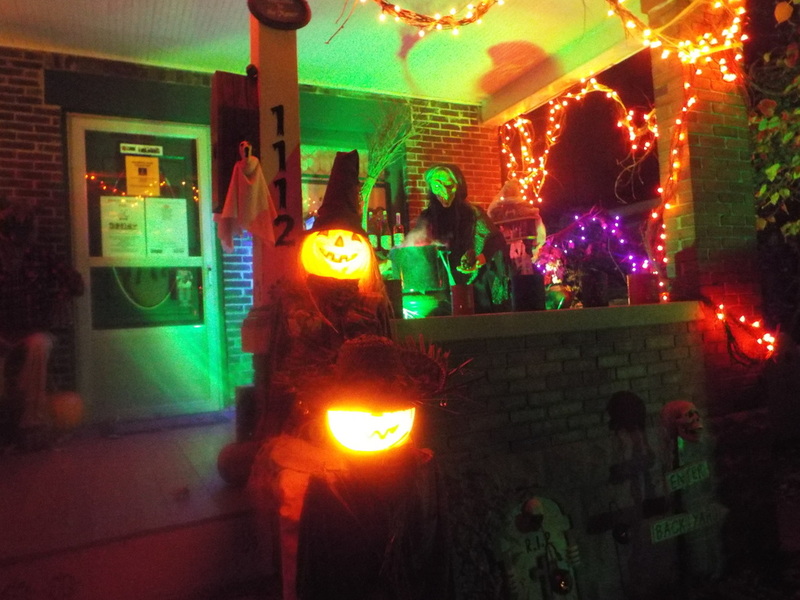 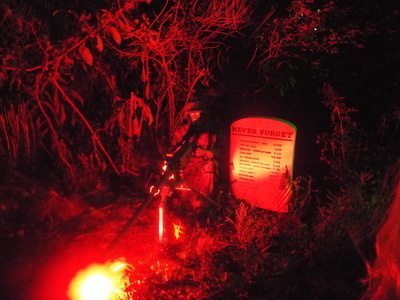 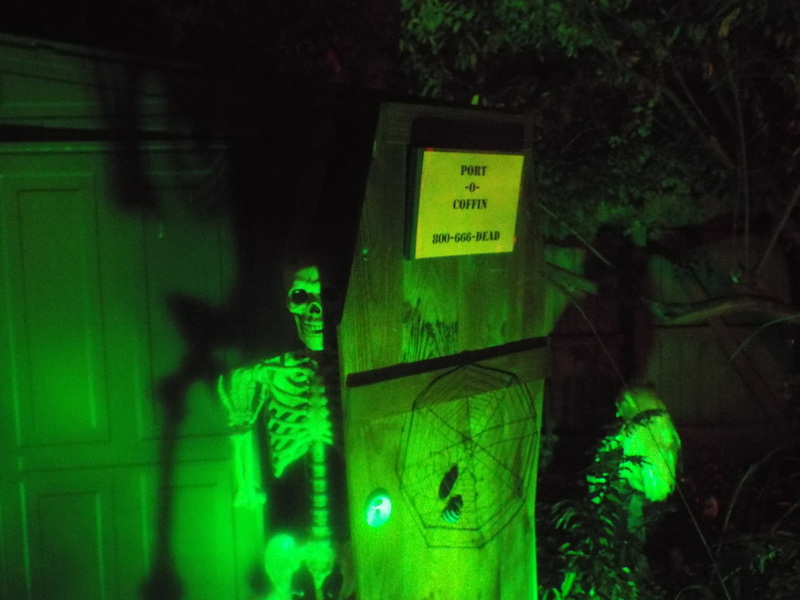 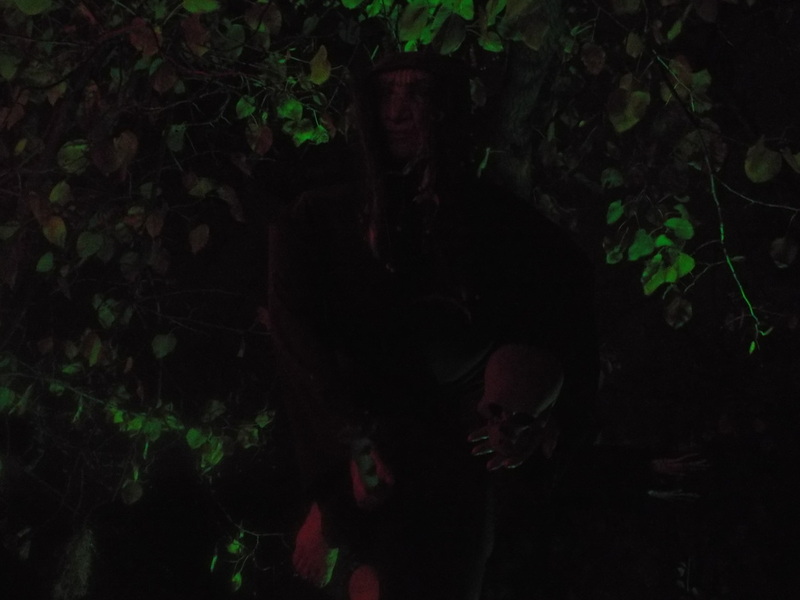 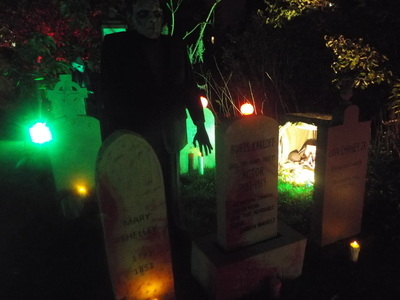 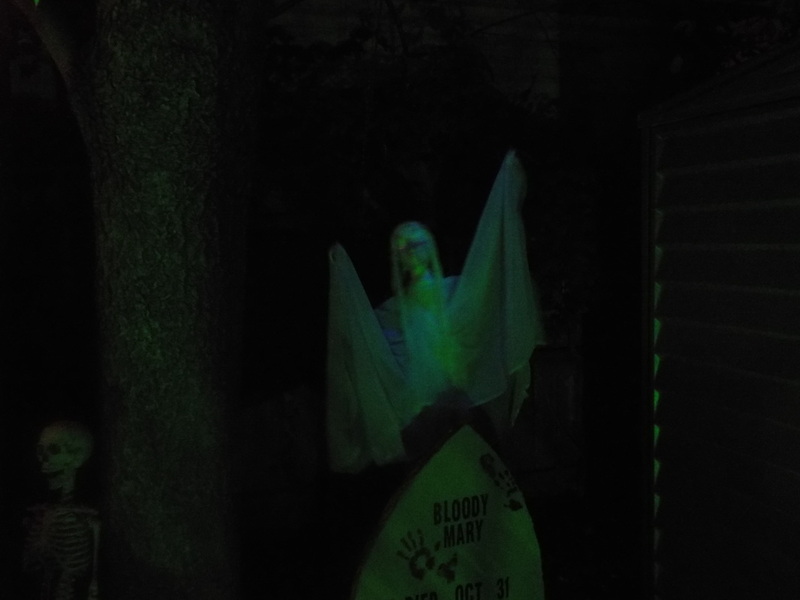 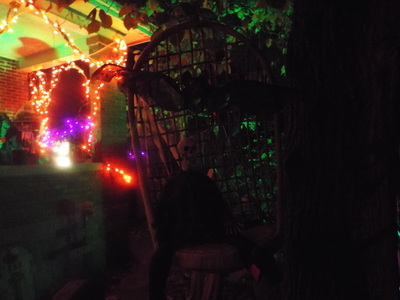 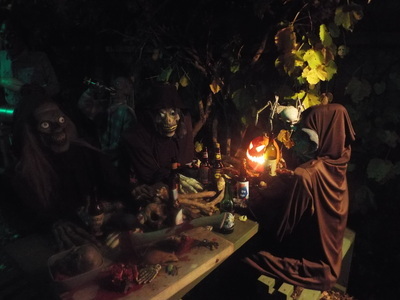 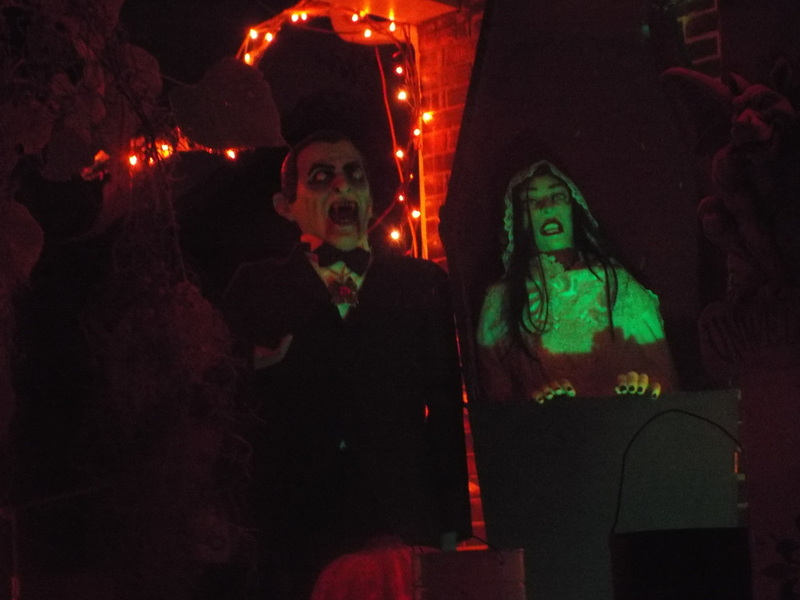 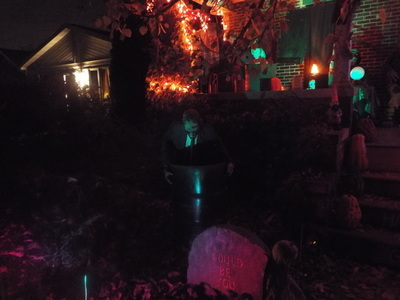 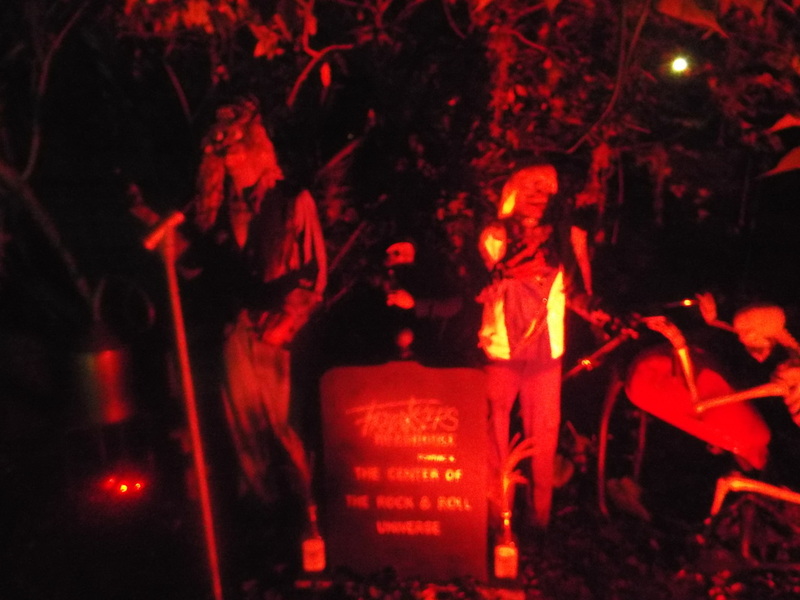 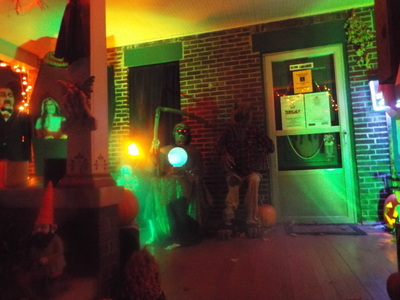 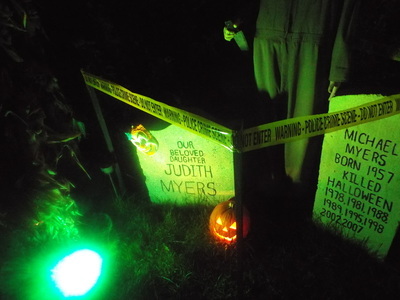 If you want some liberal doses of fun and humor with your Halloween display, as well as some respectful tributes to great horror icons of the past, look no further than Count Kuhajda's Haunted House in Joliet. 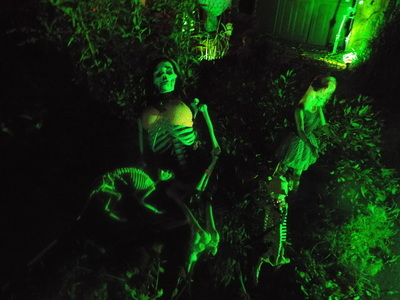 This is one of our favorite yard displays, and one we look forward to each and every year. 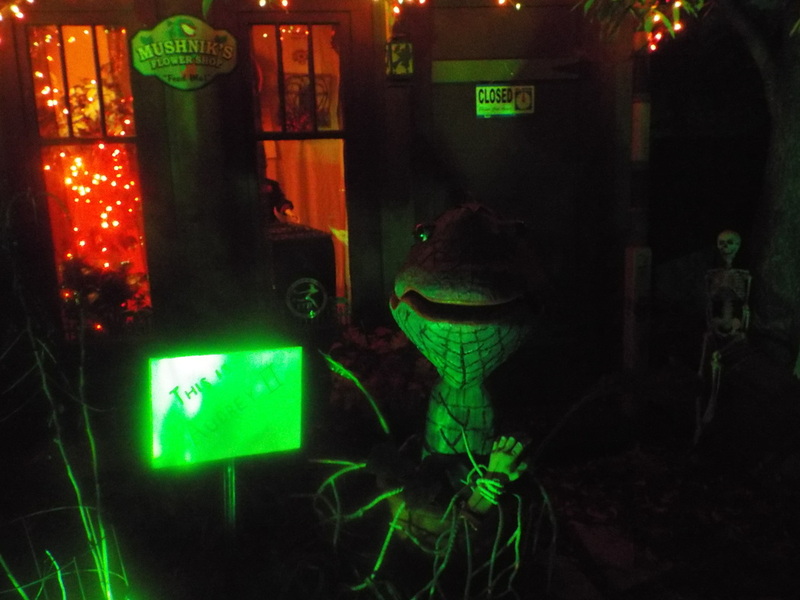 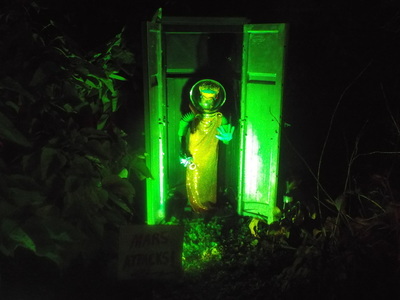 The display covers the front porch, the side of the house and the entire backyard of the property, and encompasses various scenes, most original creations by the owner that pay homage to various movies. 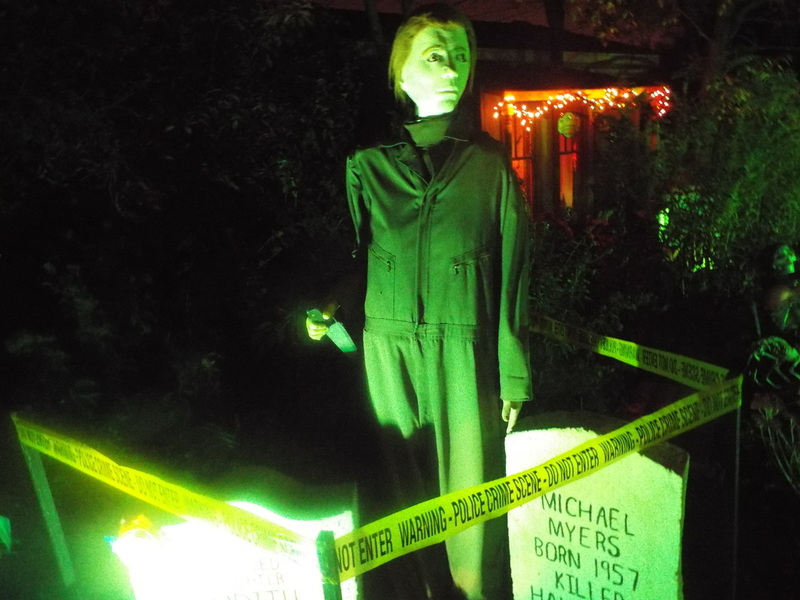 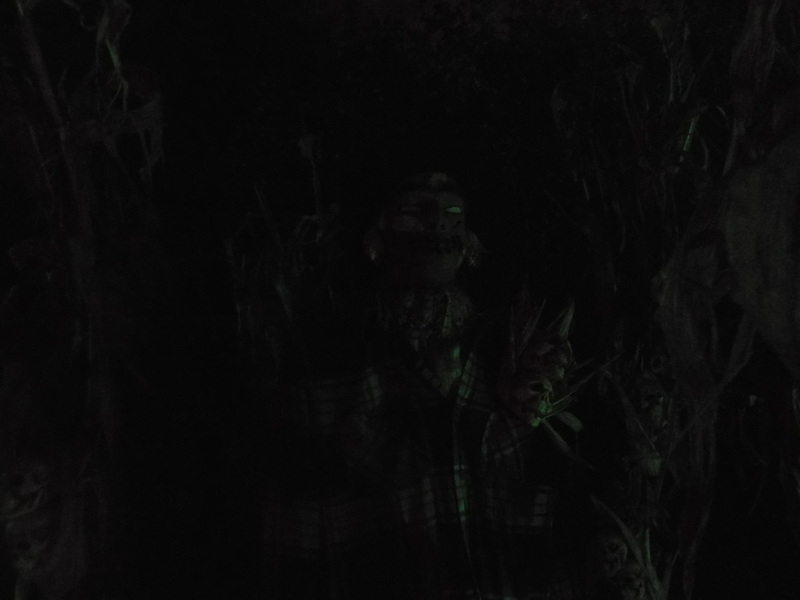 However, while most haunt displays focus on horror movies, Count Kuhajda's takes a look at other movies that are more drive-in fare than actual horror. For instance, there is a large flower shop and a giant talking Audrey II, who speaks actual lines from Little Shop of Horrors, and there is a Martian from Mars Attacks! who pops out of a display to threaten visitors. 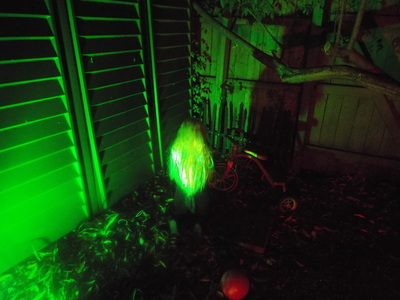 Neither are scenes you normally see at a haunt! 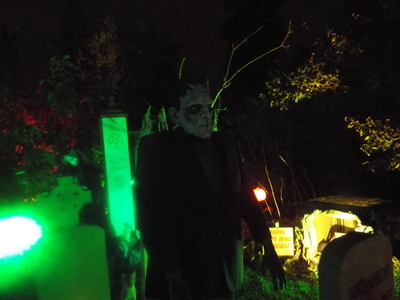 There is an excellent section that contains tombstones of various horror icons, including Lon Chaney, Jr., Boris Karloff, and even Mary Shelley, whose tombstone site right in front of the Karloff version of her most famous creation, the Frankenstein monster. And speaking of tombstones, there is a clever section devoted to famous horror character Michael Myers. 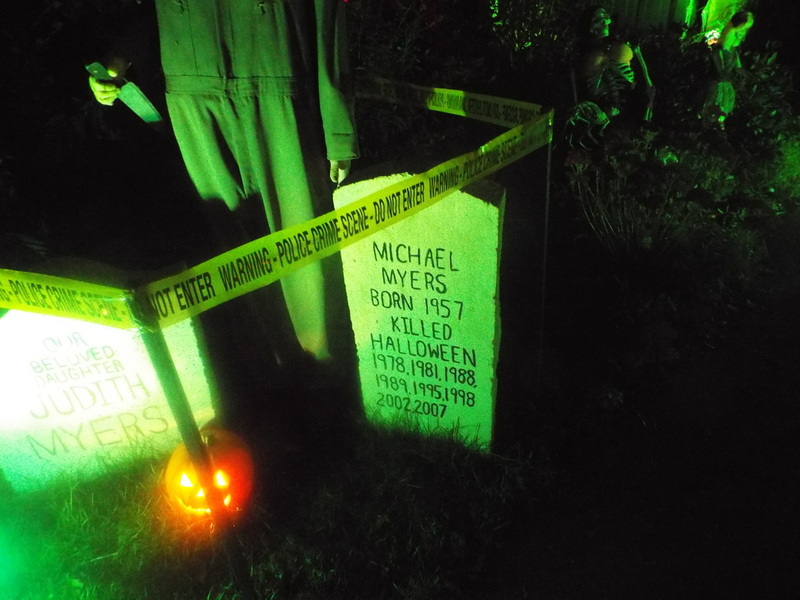 The requisite Shatner mask-wearing killer is there, but also two tombstones - one dedicated to Judith Myers with a clown mask on it, harking back to the scene in Halloween where little Michael Myers kills his sister, and a tombstone for Myers himself, listing all of the various dates of his "death". A clever spin on a common haunt element. 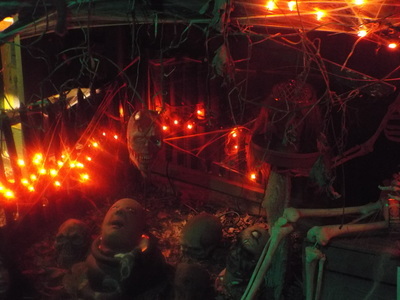 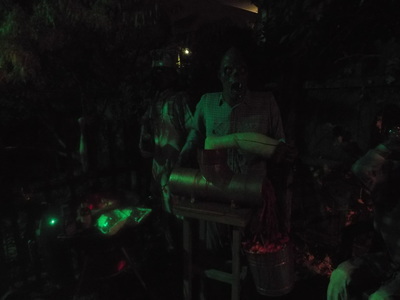 Then there are the clever original creations, including a little girl in front of her broken tricycle whose head falls backwards when visitors approach, revealing a red-eyed screaming skull, a skeleton emerging from a "port-o-coffin, the cannibal cook grinding up body parts in a hand grinder, and perhaps the most famous ghoul at Count Kuhadja's - the skeletal bearded biker bartender who presides over a bar filled with creatively named liquors. 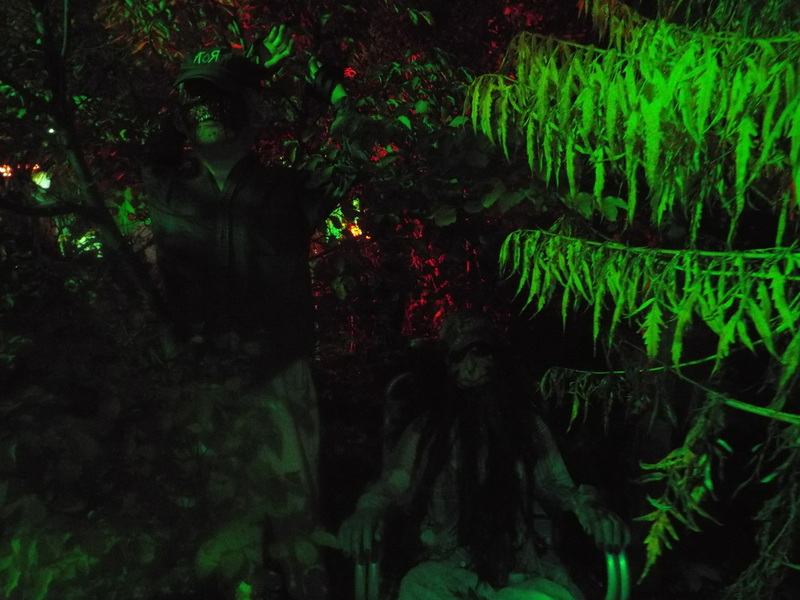 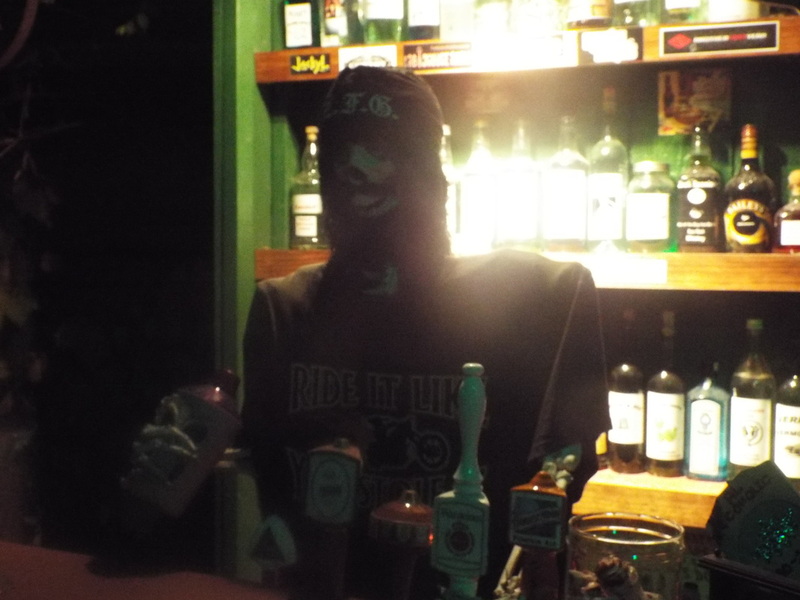 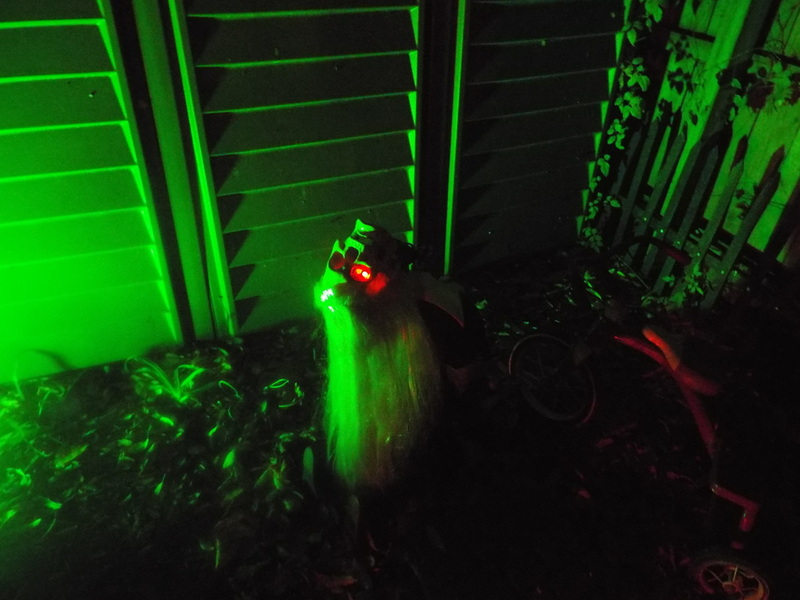 They are all showcases of the wit and humor of the haunt operator and creator, and provide some good laughs along with some creepiness. 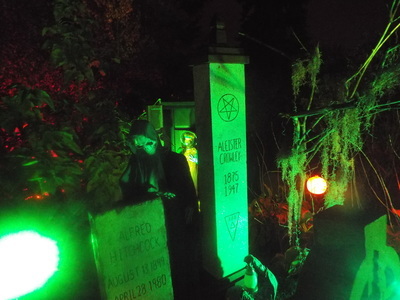 Add in some more traditional figures, such as witches, ghosts, zombies, and others, and you have yourself a delightful and enjoyable setup that is sure to please visitors of all ages. Count Kuhadja's is one of the most creative and amusing displays we have seen, and we recommend that anyone check it out - it's well worth the trip!